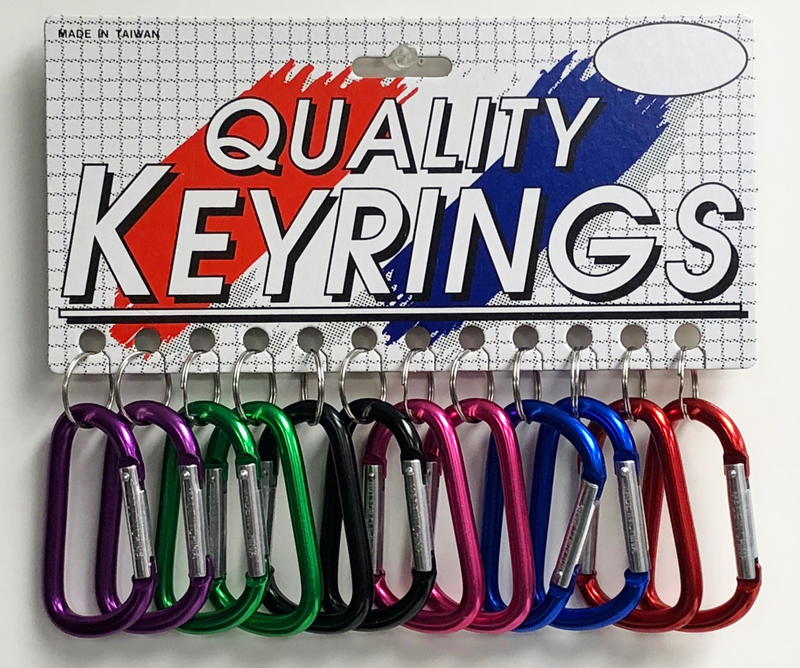 These are assorted colors of 3" "D" Shape carabiners. 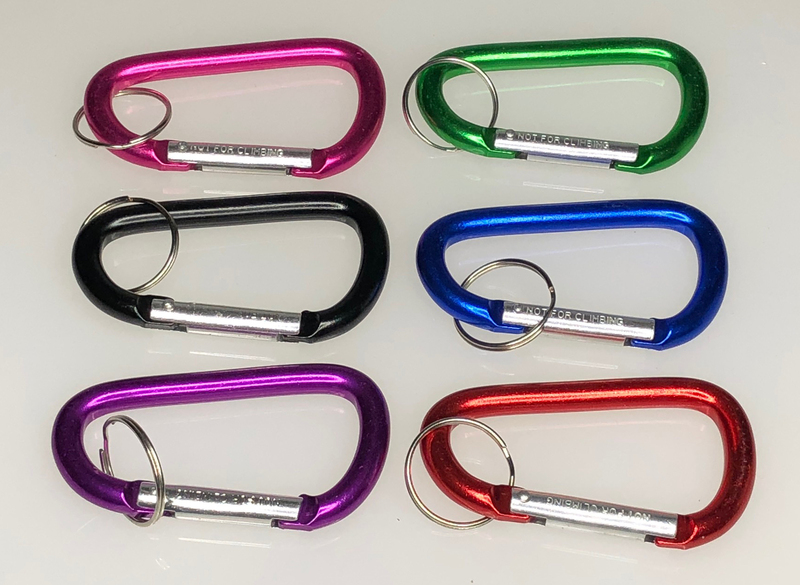 Color assortment includes BLACK,BLUE, GREEN, PINK, PURPLE, and RED. 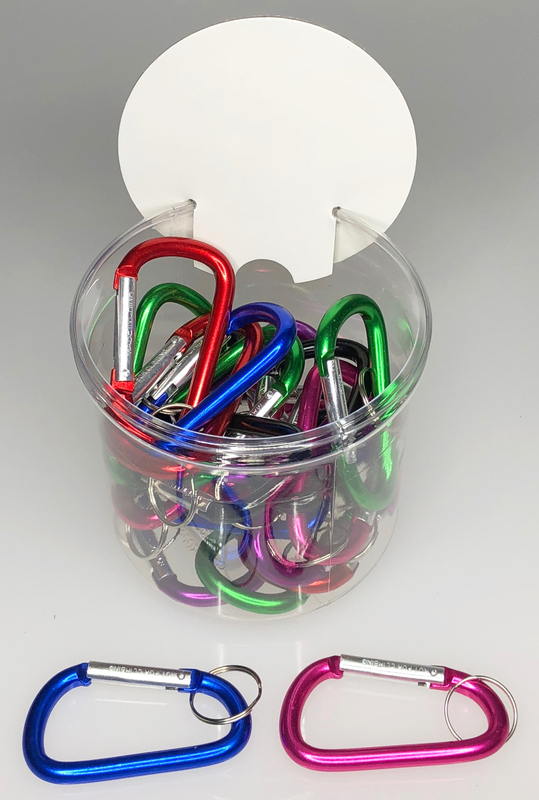 Carabiners are made from aluminum and packaging is 24/Drum.